Often, even the most competent of designers are not fully aware of exactly how tube bending machines work and hence their capabilities and limitations. On a daily basis we receive quotation requests where meeting the design requirements of the tube component is extremely complex, and may limit it to certain bending machines, involve special tooling, require making it in multiple parts and joining it, or even necessitate hand bending fixtures. All of these, of course, have a large impact on the cost and severely limit sourcing choices. 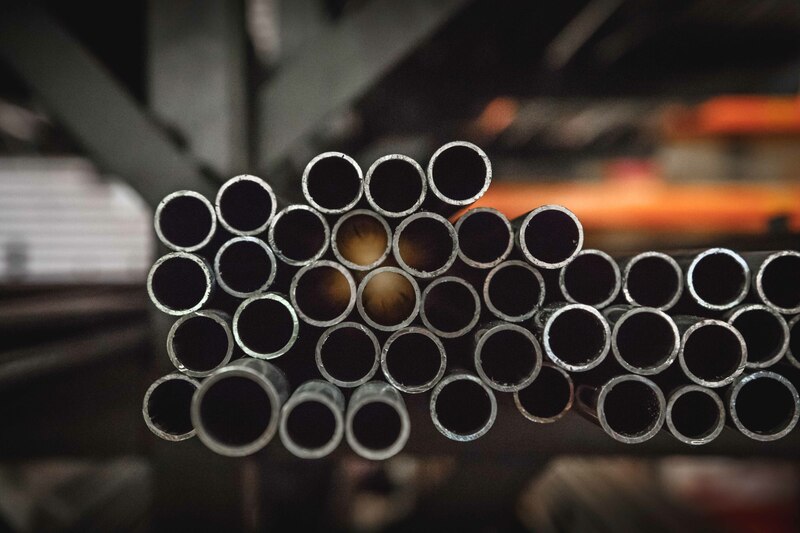 When we discuss tube we are, of course, referring to rigid metal tube (or pipe) normally manufactured from mild steel, stainless steel, aluminium or copper, and normally circular in cross section, although square or rectangular (box) section is possible and even oval shapes or more complex sections can be bent. 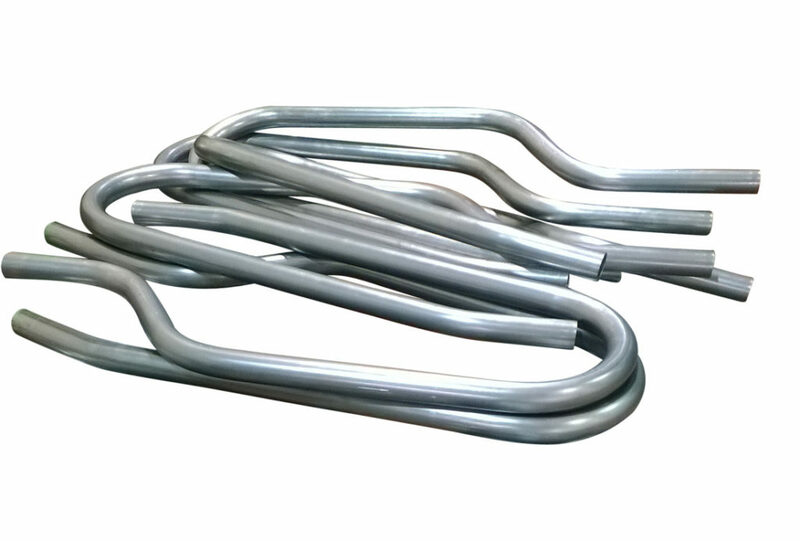 Depending on the application bent (or manipulated) tube confers significant advantage over most other possible solutions which usually involve flexible hose or fabricated (welded) structures. In order to understand the optimum design characteristics for tube bending and manipulation manufacture it is important to appreciate the different methods of tube bending. There are fundamentally three approaches known respectively as compression bending, draw bending and roll bending. Compression tube bending, is akin to bending a copper pipe around your knee; you are holding one end of the tube stationary and forming the tube into shape around the former (in this case your knee). The next step up is a simple manual pipe bending tool, a type often used by plumbers for copper tube. To produce more complex multi-bend components, for small diameter tube where it is possible to bend it manually, hand bending jigs use compression bending. Some quite elaborate shapes can be produced. Once we move to larger diameters and stiffer material, like steel, then machine power becomes essential and draw bending is the normal forming method used. The key difference is that the tooling pulls or draws the tube around the former tool. In fact, rather than the tube being clamped behind the former it is clamped to the former and the clamp and former rotate with the tube drawn around the former in an arc behind it, just pressed to the former by a pressure die. As the name suggests the pressure die is not clamping the tube it is just pressing it against the former but the tube can be drawn along past it. Draw bending overcomes some of the collapsing problems that can occur with compression bending. Draw bending machines can be simple NC (numerically controlled) or full CNC (computer numerically controlled). The critical considerations, for our purpose, are that the bend tooling must grip the tube precisely in order to pull it around the bend; this means that the tooling must be specific to the tube’s external diameter; and, the central former around which the tube is drawn must match the required bend; this means that the tooling must be specific to the finished tube’s bend radius. 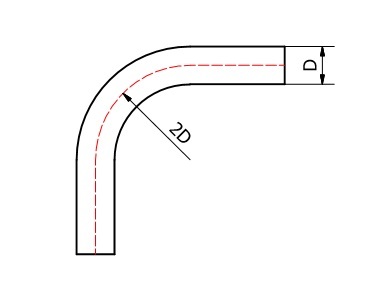 Some thin wall (relative to diameter or material specification) tubing is liable to collapse when bent and with a draw bending process (in contrast to compression bending) it is possible to support the tube at the point where the bending is taking place by inserting a mandrel down the centre of the tube. For this reason draw bending is sometimes referred to as mandrel bending. ​If you need a very gentle curve, ie a large radius of curvature, then draw bending ceases to be feasible since the size of the tooling (and the machine to mount it on) becomes prohibitive. This is where roll bending, sometimes called push bending, comes into play. It works by pushing the tube through, normally, three rollers – two on one side of the tube and one, between them, on the other. If the rollers are lightly resting on the tube then it will clearly just pass through them without bending, but as the roller pressure is increased the tube will begin to deform, becoming concave on the side of the single roller as the two outer rollers try to push it around the inner roller. The greater the pressure the tighter the bend. 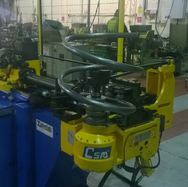 There are two main types of roll bending machine. Often referred to simply as a roll bender, just has the three rolls, with one or more of them rotationally power driven to pull the tube in and between them. Often the tube is run backward and forwards between the rolls a number of times to achieve the desired bend radius. This type can be semi-manual, NC or CNC. ​The second type is where the rolls are free running rotationally and the tube is pushed through them (hence push bending). This type is normally CNC controlled and the bend is performed in a single pass. In both types the rollers are classed as tools since they must be changed over to be specific for different tube diameters. ​So is draw bending better than roll bending? Actually they both have their place because they do quite different things. Draw bending is for fairly tight curves, typical of most engineering applications, while roll bending is for large radius curves often found in furniture or architectural work. One slight downside to roll bending is that there is a degree of trial and error involved in getting the right curvature, certainly the first time the job is bent, since every different tube diameter, wall thickness and material behaves slightly differently under force and because there is no fixed form that the tube is being bent around these factors come into play more significantly. Consequently there is a longer development time and more tube wastage, all of which ultimately has to be paid for, than for roll forming. Obviously this is not such an issue for larger volumes where the cost can be spread. Fundamentally draw bending is often considered more accurate than roll bending. 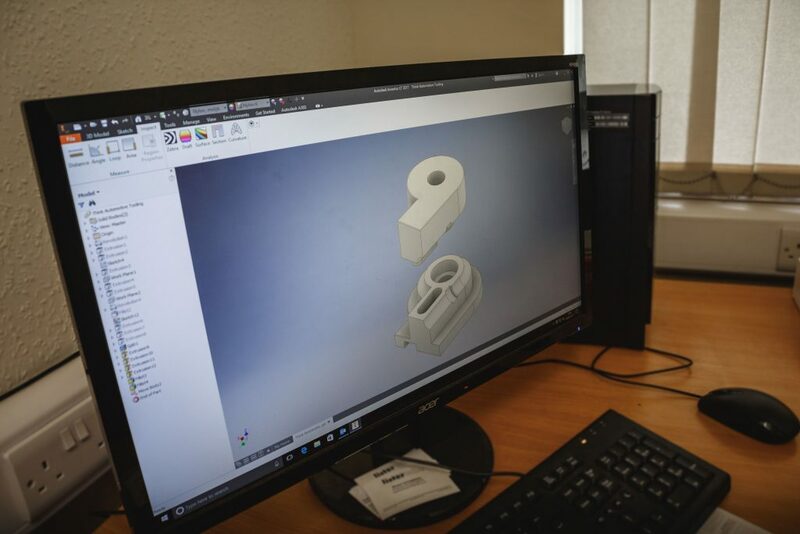 Armed with a good understanding of the different bending processes available we can now consider the selection process that a design engineer could undertake. 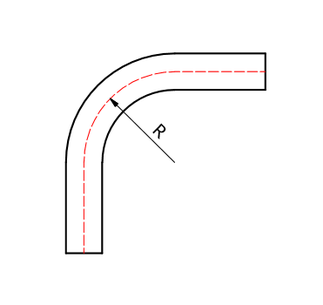 When we talk about bend radius it refers to the radius measured to the centre line of the tube. What that means is that if you have a tube OD (outside diameter) of 20 mm then the bend radius to choose, if you can, is 40 mm. It is possible to have a tighter bend radius, even as low as ½ x D, although anything below 2 x D will usually require costly tooling and probably mandrel bending. At the other end of the scale the maximum draw bend radius is not dictated by the performance of the tube but more by what tooling it is feasible to fit onto the bending machine. Depending on the tube diameter this could be a very large multiple but again moving away from the standard 2 x D invites tooling charges. 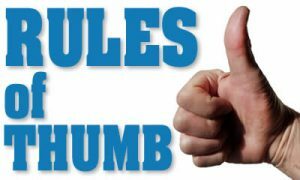 It is technically feasible to be tighter than 7 x D but it depends a lot on wall thickness and material properties, so for safety stick to this guideline. There is no maximum limit to the radius from roll bending, except of course leaving the tube straight, which is the same as an infinite bend radius! 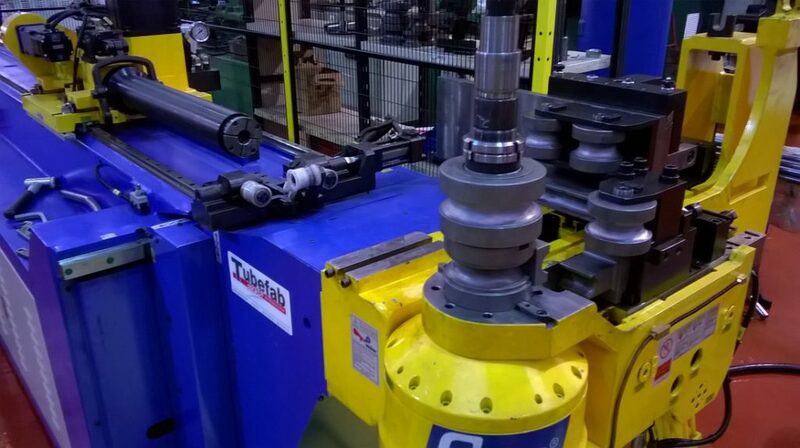 ​Obviously it always makes sense to check with your tube manipulator what tooling they have for the tube diameter that you have chosen before you start designing your component. Alternatively, wherever possible allow a wide tolerance in your bend radii. For example if you have a simple 90 degree bend in a 20 mm tube does it really matter to your design whether the bend radii is 40 mm, 50 mm or 60 mm? So why not label it as 50 mm +/- 10 mm. 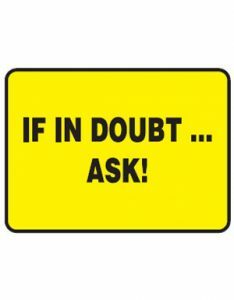 ​If you need more than one bend in your tube the next question to consider is can they all be to the same radius. Basic draw benders are what is called single stack, that is they can only take one set of tooling, at a time. Now, it is technically feasible to make a bend with one radius tooling, remove the tube, change tooling to another radius and make another bend, but it is tricky to get back to exactly the same datum and you can see how much more time is involved, so it is rarely done. We often see drawings that require two different bend radii that are, in reality, so similar that the difference would be almost unnoticeable; why would you design a tube with one bend radius of 70 mm and another of 75 mm? But people do. If you design with multiple radii only do it if you really need to! 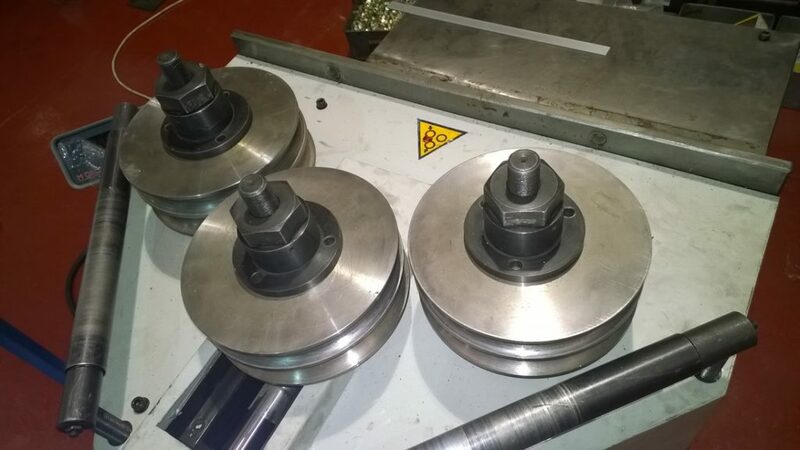 ​If you must have multiple radii bends then you need a two stack, three stack or even a multi-stack machine (which can have as many tooling sets mounted above each other as will fit onto the tooling post, and can index between each of them). Obviously as you increase up the range of these machines you reduce the number of tube benders who will have that equipment. ​If you have bends very close to each other that are not in the same plane then you will probably need a stack machine with cut-away tooling (so that the first bend is not fouling the tooling while the second bend is being made). 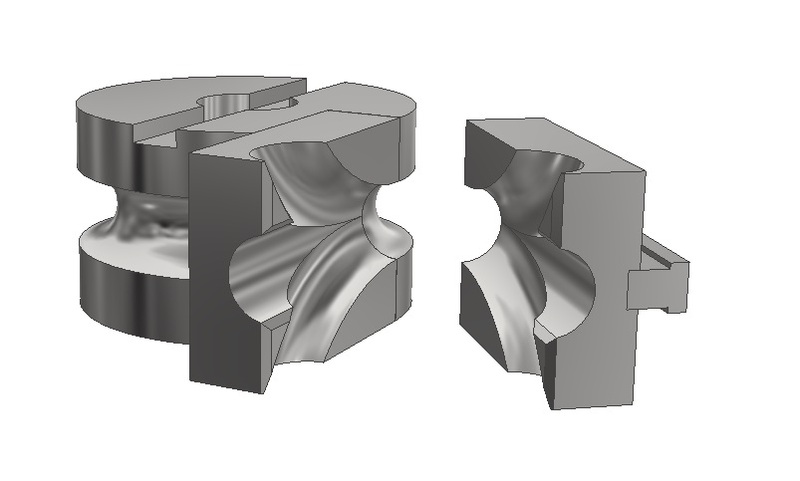 This tooling will be bespoke for you so unless volumes are significant enough to justify it you might wish to consider avoiding that type of configuration. If you want multiple bends of larger radius (more than 7 x D) then that is not a problem on a push bender (although quite tricky on a simple roll bender). ​If you want more than one draw bend radius combined with roll bending radii on the same component then check that your bending company has a multi-stack draw and roll bending machine! 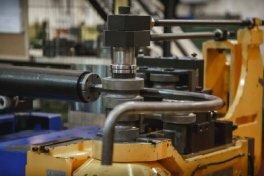 ​Even when you have chosen standard tube dimensions, standard bend radii and kept to a limited number of different bend sizes, there are still bend configurations that will cause problems for tube manipulators and will often translate into higher costs for you. There is normally a way to produce most tube designs but some can be far more complicated to manufacture than you might imagine. In some cases the only way your tube will be able to be produced is in sections and to be joined. A good weld joint, properly dressed will be all but invisible, but obviously adds to the cost, so if you can avoid it so much the better. ​If there is a loop of tube with the tube then passing through it in some way then it is highly unlikely that it can be produced on a standard CNC bending machine. It is sometimes possible to produce this sort of thing on a hand bending jig in one piece, but you will definitely face tooling costs, and even this will be limited to smaller diameter tubes which can be hand-formed. Alternatively it may have to be made in separate pieces and joined. Bends close to and above 180 degrees, and tight coils on stiff material. Imagine that we want to bend a tube into the shape something like the Greek letter α, with one “leg” of the tube crossing over the other. 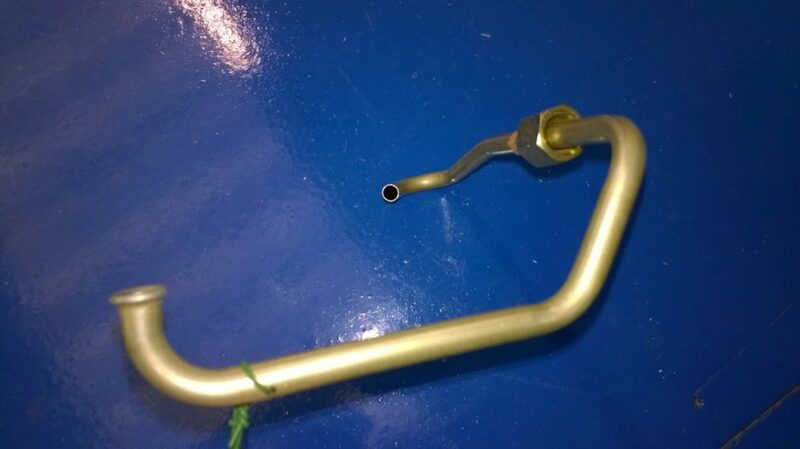 There are ways to get the CNC bending machine to bend the tube back on itself, and then further. The problem is that the tube will then foul itself on the carriage or other part of the superstructure of the machine. If the bend has a large enough radius and/or if the tube diameter is small enough then there will be enough flexibility to allow the tube to be lifted up and over any part of the machine and avoid the fouling. Failing that it would probably be necessary to make in sections and join. ​Most draw bending machines are “right handers” which means that when looking down the machine towards the bending head the bend will be to the right. So now imagine making the first bend with a length of, say, 2 metres. If the next bend requires that the tube is rotated clockwise there is a problem because the end of the 2 metre length will hit the floor. There are three possible solutions. In most cases if the bends are started at the other end of the tube there will not be a foul condition. Alternatively you may accept having the component made in two pieces and joined. If that is not a possibility you might need to find a tube manipulation company that has a left hand bender! In some, very rare, cases you might manage to design a tube that requires a bending machine that has combined left and right hand bending capability. 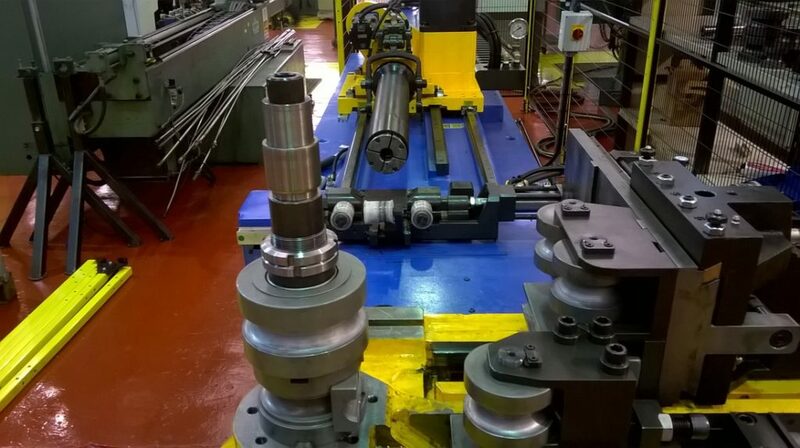 ​If you are designing a tube configuration that you think might be anything out of the ordinary the best guidance is to seek advice from a tube manipulator. Any good company will be very willing to talk to you and look at early design sketches or drawings to help you get to the most production friendly component possible, before you lock down your final design. Almost anything is possible in tube if you really need it!